Because I am a ‘morning person’, I’m not fussed about winter with its short days. I like to have a leisurely start to the day. With winter, the sun rises later and so when I wake, I have to hit the floor running. Are you like that? Or are you a ‘night person’ and love the early dinners and tuck up in a cosy bed with plenty of time for a good TV show? Speaking of winter, “Hello” to all our southern visitors who come here to escape their really cold winters and laugh at us Queenslanders that shiver on a brisk morning and say to one another, “It’s a bit cold this morning.” We hope you enjoy our lovely region. And did you know that Rainbow Beach is the birthplace of the Saturn Antenna? Did you know that the Saturn Antenna is the Bestest Antenna in the Whole World for the Traveller? Hahaha. I bet you thought I made a spelling mistake back there. Nope. I just wanted to get your attention. Hahaha. After all that waffle, let’s get down to tin tacks. Saturn on the Retirement Trail. 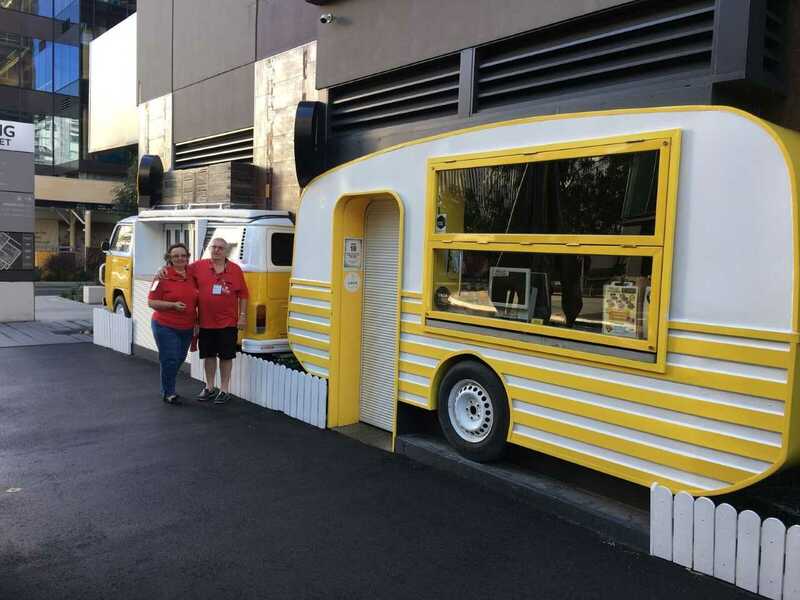 This last month has been filled with caravan shows in Cairns, Mackay, Maitland and Brisbane. Whew! What a whirlwind. Before I forget, a big shout-out to Steve and Michelle from Hervey Bay who called to see us at the Brisbane Caravan Supershow and report how happy they are with their Saturn Antenna. Now we are home from our hectic five months on the road, we can settle back to enjoy the region around Rainbow Beach. We have so many wonderful things here for you to see and do when you stay in Rainbow Beach. Check out the pages in this newspaper for that. Also, you can use Rainbow Beach as a base for exploring the surrounding area. One place we are definitely going back to is the Bush Camp at Kilkivan. Peter had to go and help Peter and Allison set up a satellite dish out there. These two are having a ball in their retirement/semi-retirement. They are travelling to different parts of the country writing about caravans, motorhomes, caravan parks and all things for the traveller. We had a good chat to them at the Brisbane show when they purchased the satellite dish from us. Are you travelling and find difficulty getting TV reception with a normal antenna? Have you considered using a satellite dish to get the Australian digital channels? Talk to us at Saturn Antennas 07 5486 3471 before making up your mind. We have been selling satellite equipment for the traveller for 15 years. But it may not be necessary to outlay money for a satellite system. You may have a problem with the wiring or connections in your existing antenna system. Peter, with his 40+ years experience with TV antennas, has sorted thousands of TV reception problems for the traveller. Call us and we can help you assess the best solution for you. Ecotourism Opportunity …… Dolphin Ferry Cruises is for Sale !! !